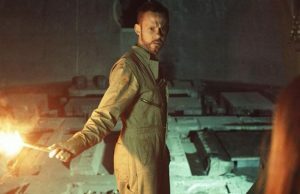 Atomica is a sci-fi thriller from SyFy Films, directed by Dagen Merrill (Broken Hill, Beneath), and featuring an all-star cast including Dominic Monaghan, Sarah Habel and Tom Sizemor. Tiara Janté: Can you tell me how the film came about? Dagen Merrill: We were looking to make a small contained film, and one of the producers came across a script that we absolutely fell in love with. We made a few changes to make it more suitable for film, and finally came up with the finished script for Atomica. TJ: Sci-fi films are known for fantastic and otherworldly elements; elements that can be somewhat difficult to reproduce on the big screen. Did you face any particular challenges when filming Atomica? place where someone used to wait with their hand on a button waiting for a command to launch a nuclear missile. It was also extremely cold down there, but our cast and crew was fantastic, and our art department really did an excellent job taking an already amazing location and making it even better. 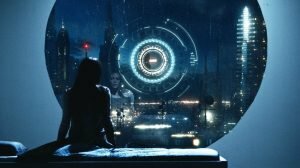 TJ: What makes Atomica unique? DM: I think the one thing that stands out in this film is how the location becomes a character in itself, yet Dom’s (Monahan) character is the actual embodiment of the character. This is his best performance, if you ask me. It was amazing to watch him work. The space around him definitely matched his personality as a character in the film. TJ: Like many science fiction films, Atomica deals with the imagined repercussions of a very dismal future. With all the talk about our environment and the way we’ve been treating our planet, if there is one thing you’d want people to think about or take away from the film, what would it be? DM: I’m glad you asked that question. I think the one thing I’d like for people to take away from the film is to realize there’s a connection between what’s going in our world and our environment and whats going on within ourself on a deeper level. For instance, in the film Abby is out there and she’s dealing with this big problem–but the problem is inside of all of us. If we could look inward, we’d realize all of the terrible things that happen in our world start on the inside of all of us. 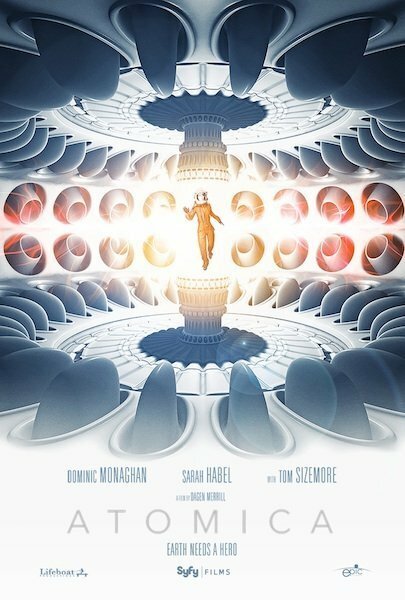 Atomica is showing now in select theatres and will be available on Video on Demand and Digital HD March 21, 2017. Check out the official trailer below. Tiara Janté is a Writer/Digital Journalist who enjoys producing content centered on blerd culture, Sci-Fi & Fantasy, topics pertaining to millennial women of color, and the hip hop culture. She is a Staff Writer & Social Media Curator for BlackSci-Fi.com, a contributor to xoNecole and a Co-Editor for Black Girl Magic Literary Magazine. She is also the author of the eBook, From Pitches to Bylines: A Few Helpful Tips for Digital Media Professionals, and is presently in the process of completing her debut Sci-Fi novel EXO. A self-confessed social media junkie with a wealth of opinions, you can connect with her via her Website as well as her Twitter, Facebook & Instagram pages.